DDylan Kuehl (that’s pronounced “Keel”) is a visual artist, musician and dancer from Olympia, Washington who received his first drum kit at the age of 3. Dylan was born with Down Syndrome and has always lived life to the fullest and dreamt big. Now at the age of 33 has a jewelry line, an inspirational DVD and a musical project called the Jackson Memory Band, which he formed after Michael Jackson’s death in 2009. 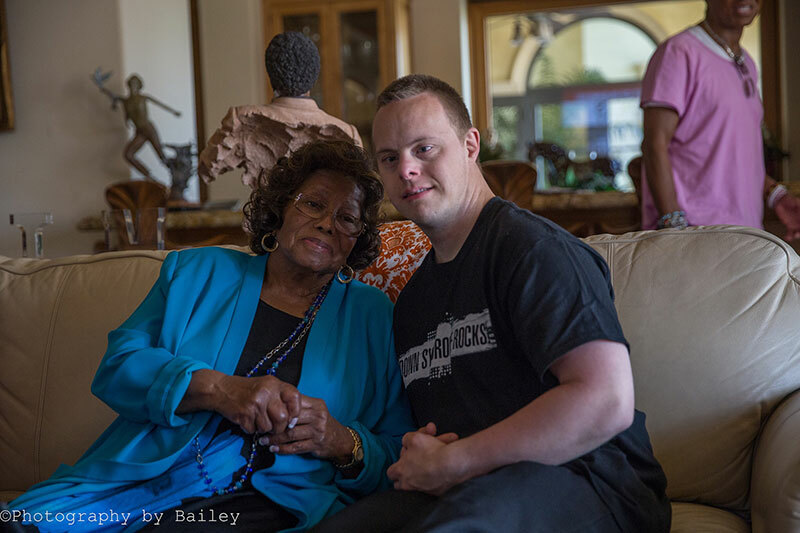 One of Dylan’s biggest dreams came true on June 17, 2016 when he had the opportunity to meet members of Michael Jackson’s family—mother Katherine, brother Jermaine, and son Blanket—made possible by the non-profit organization, Gifts from the Heart for Downs. Dylan performed his Michael Jackson dance moves in the very ballroom where the Jackson 5 rehearsed in Los Angeles, paying tribute to one of his heroes. 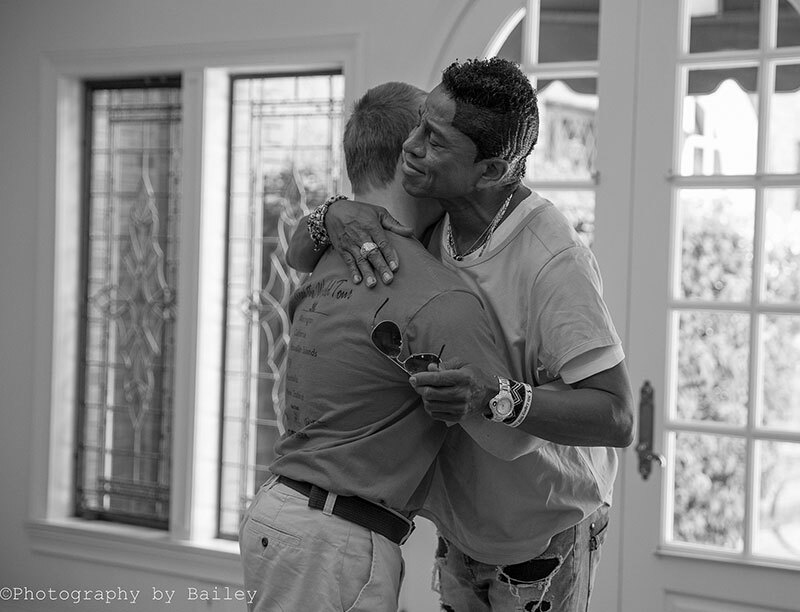 His dedicated and heartfelt routines brought both Jermaine and Katherine to tears. Gifts From the Heart For Downs was founded in 2010 by Kimberley Adams, a single mom who adopted two children with Down syndrome. 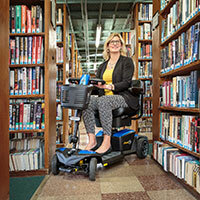 The non-profit grants wishes for items such as adaptive bicycles, vacations to places such as Disney World, and she's been successful at making contacts with celebrities such as Julie Andrews, Brett Favre and John Travolta. Dylan was one of the first requests she received. After six years of networking, Kimberley finally made contact with someone close to the Jackson family. After the mansion tour, Dylan danced two pieces—“Stranger In Moscow” and “In The Closet”—for Jermaine, in the chandeliered ballroom where Jermaine rehearsed with the Jackson 5 playing bass. The music came from a Michael Jackson video played off an iPad, which Dylan has watched religiously, perfecting his moves to mimic Michael’s. Jermaine commented that Dylan hit every single move of Michael’s. Tears came to Jermaine’s eyes during Dylan’s performance, and he called his mother Katherine, and asked if she would be up for a visit. He thought Dylan was someone she should meet. She agreed. At Katherine’s home, Dylan met Katherine as well as Michael’s son Blanket, whom Dylan bonded with over Star Wars. Dylan danced his “In The Closet” performance. Katherine said she’d never met anyone like Dylan before; they hugged and Dylan cried with her. Dylan’s mom recalls: “Katherine said, ‘Every day I wake up and I think about Michael,’ to which I replied, ‘Dylan does too.’” Katherine said that Michael was shy, but once you put him on the stage, his star power shined through, which is how Dylan is. Dylan’s birthday, June 25, is also the day that Michael passed away, so while Dylan’s birthday is now a day of mourning, it also marks a day of rebirth and keeping Michael’s music alive. Dylan gave Jermaine and Katherine pieces of glass jewelry that he created, and extras for Katherine to give to Michael’s daughter, Paris. Dylan gave Katherine many of his watercolor postcards, and she plans to enlarge one called Barn Life and hang it in her home. 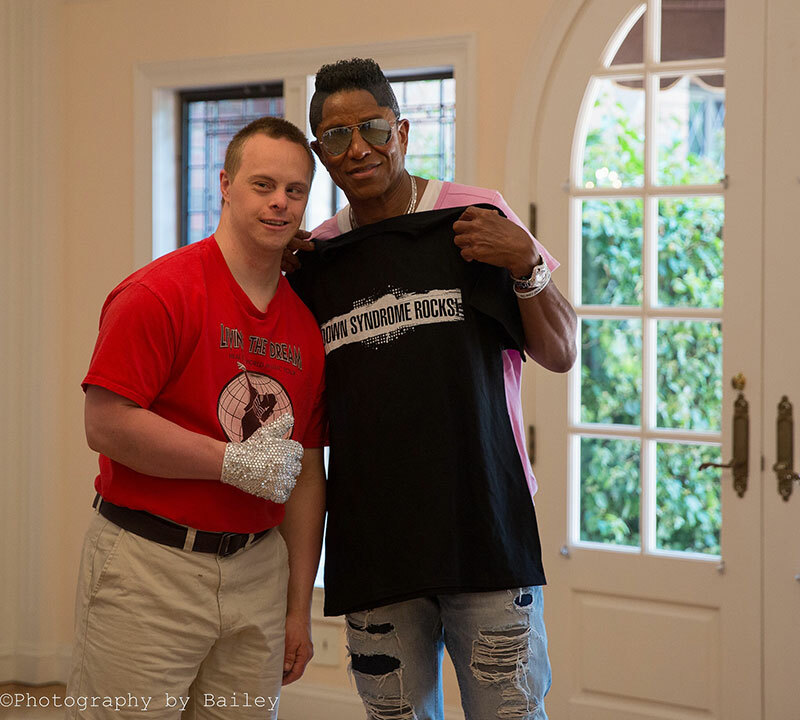 Dylan also gave them “Down Syndrome Rocks!” T-shirts and Michael Jackson Memory Band T-shirts, as well as a copy of the book in which Dylan is featured—Reasons to Smile: Celebrating Living with Down Syndrome—which Dylan dedicated to Michael. Dylan also gifted them his DVD titled Reach Dream Celebrate Abilities: 4 Easy Steps To Build Your Own YES Team.